Call (514) 600-1095 for your FREE quote. Montreal IT Support is a leading cabling installer in Montreal, West Island, South Shore and Laval. We specialises in the design, installation and service of structured VoIP Cabling and Data Cable Installation. 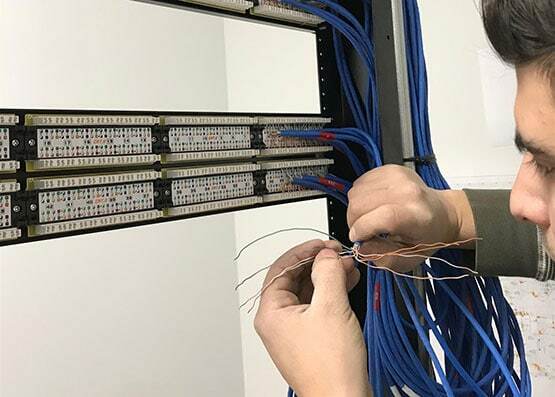 MIS technicians keep abreast of developments in technology of network infrastructure to ensure that up-to-date and reliable data cable installation products and techniques are utilized. We have extensive experience in managing large scale VoIP network infrastructure planning and implementation. 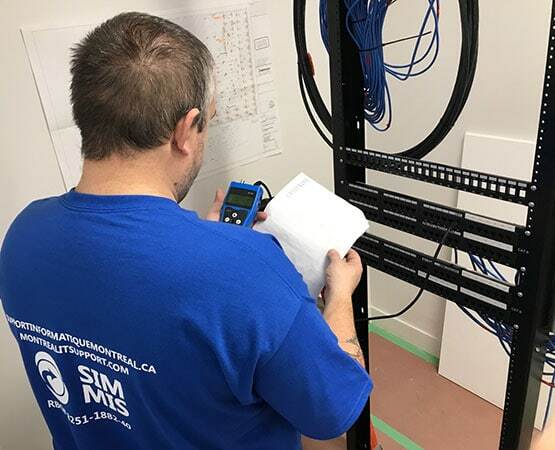 Data Cable Installation, VoIP, Video CCTV Camera and Electrical provider in the greater Montreal, Laval and surrounds areas. Call us at 514.600.1095 for your free quotation. 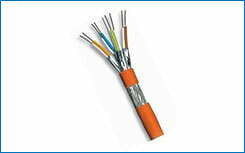 These high performance CAT6 patch cords are ideal for your GIGA applications. Their 550 Mhz bandwidth guarantees error free data transmission. 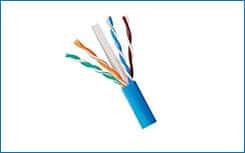 10G Cat 6A cabling provides transmission performance that excceeds the industry standard Cat 6 parameters and supports the operation of 10 GBASE-T over 100 meters. 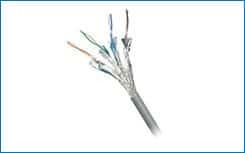 Cat-7 network cables are used for 1000Base-TX, 100Base-T, 10Base-T networking and is also suitable for high speed data applications, Gigabit ethernet, fast ethernet and 155Mbps TP-PMD/CDDI. Our company consists of electricians licensed with the CMEQ (Corporation of Master Electricians of Québec). Our RBQ licence number is #8251-1882-40. As licensed electricians we are required to have construction & contractors insurance by the CCQ (Commission de la construction du Québec). Our Electrical Contractor Bond is required by federal, provincial and municipal governments to guarantee compliance with regulations and bylaws relating to Electricians. Jason Stadtlander & Allen Pambrun work together to bring decades of IT and Wiring experience under one roof. 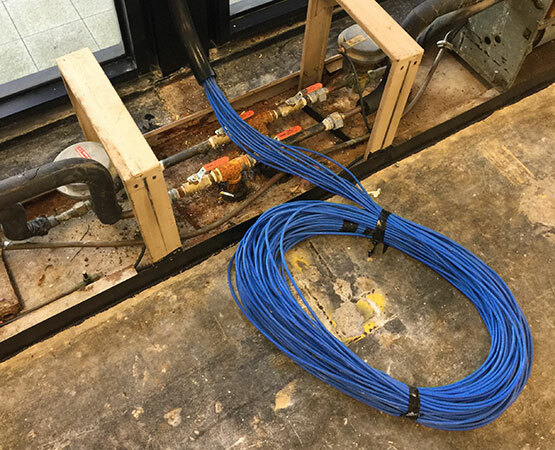 One of the biggest challenges in the industry is that cabling techs quote too low, use substandard parts and cables then disappear half-way through a project. We offer a 1 year warranty on our work and materials. Alarm, Video or CCTV camera cabling requires specific security permits compliant with the Private Security Act (PSA) and its regulations. 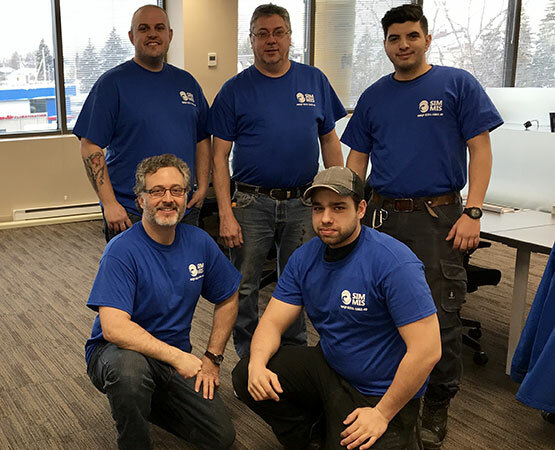 Not only do we carry our electrical licences, bonds and liability insurance, we also have partnered with a security firm with technicians certified with the BSP (Bureau de la Sécurité privée). Our techs follow carefully considered structured cabling format for your network. Most clients now require 2 data drops to each desk, one for data and the other for telecommunications (VoIP). 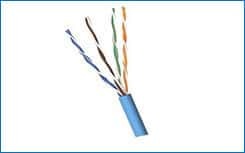 Our networks consist of a blue ethernet cable for data and white for voice. Even our keystone jacks are colour coded blue & white. I consent to Montreal IT Support collecting my details through this form.